According to a new study by the Pew Research Center, the number of permanent residents applying for U.S. Citizenship has risen 5% when compared to the 2012 election cycle. This fiscal year USCIS received the highest number of applications for naturalization in four years. The Pew Research Center suggests that the recent surge in applications for naturalization is not due to political reasons. This fiscal year approximately 249,609 permanent residents applied for naturalization, a 13% increase from the previous fiscal year, according to preliminary data provided by the U.S. Citizenship and Immigration Services. During the last election cycle, in fiscal years 2011 and 2012, there was a 19 % increase in applications, compared to this year’s election cycle at 13%. Research conducted by the Pew Research Center indicates that the increase in the number of applications is due to practical reasons, such as avoiding fee increases and criminal prosecution, and not for political reasons. For instance, during fiscal years 2007 and 2008, the number of naturalization applications decreased by 62%, at a time when USCIS announced an increase in the application fee for adults, from $330 to $595, taking place on July 30, 2007. As a result of this announcement, an unusual number of applications were filed before the planned increase in filing fees. In fiscal year 2007, before the increase in filing fees, the number of naturalization applications increased by 89% compared to fiscal year 2006. This was the largest increase in naturalization applications ever seen since 1907. From fiscal year 1995 to 1998, more than 900,000 people applied for citizenship every fiscal year, reaching a record high 1.4 million naturalization applications in fiscal year 1997, due to a series of Congressional legislation enacted in the mid 1980s. According to the Pew Research Center, one such legislation was the Immigration Reform and Control Act of 1986, which gave approximately 2.7 million undocumented immigrants the opportunity to become legal permanent residents. This piece of legislation increased the pool of potential citizens who would apply for naturalization within 5-10 years. By 2009, nearly 40% of permanent residents had become U.S. Citizens. In 1996 Congress passed laws restricting public benefits and legal protections of noncitizens, and expanded the list of offenses for which legal permanent residents could be prosecuted and deported. These laws prompted millions of permanent residents to apply for naturalization out of fear of deportation. According to the Pew Research Center, in 2013 approximately 8.8 million legal permanent residents were eligible for citizenship in the United States with 3.9 million individuals from Latin America alone. This election cycle, the White House along with other government agencies, have mobilized efforts to increase naturalization of permanent residents, and encourage newly naturalized citizens to register to vote. In general, Mexican immigrants have been the least likely to naturalize, despite the fact that in 2013 nearly 2.7 million Mexican permanent residents were eligible for citizenship. 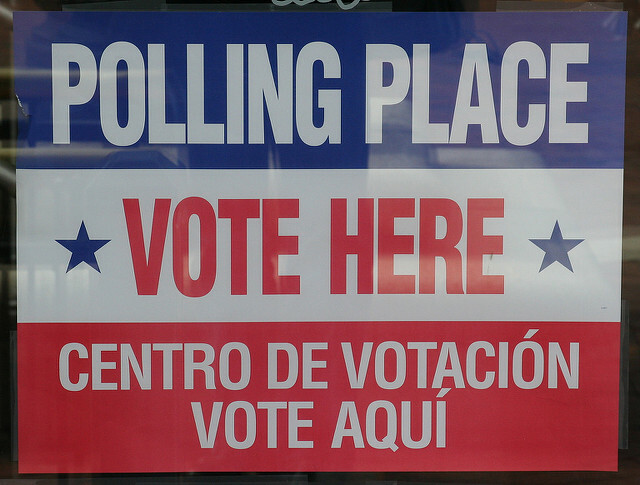 The Pew Research Center reports that although Hispanics have lower voter turnout rates than whites and blacks, Hispanics who are naturalized citizens have a higher voter turnout rate than U.S. born citizens, “in 2012, naturalized-immigrant Hispanics had a voter turnout rate of 54%, compared with a 46% turnout rate among U.S.-born Hispanics.” This year, the pool of eligible Hispanic voters will make up 24% of naturalized immigrants. This month USCIS announced that filing fees would increase for certain employment based petitions and family based immigration petitions in the Fall. USCIS has proposed a three-tiered fee structure for naturalization applications including a standard filing fee for most applicants, reduced fee for those whose household income is greater than 150% but less than 200% of Federal Poverty Guidelines, and no fee for applicants in the military and those qualifying for a fee waiver. We expect that the reduction in fees for individuals with an income below 200% of Federal Poverty Guidelines will encourage thousands of permanent residents to apply for citizenship. For assistance with your application for naturalization please contact us. For more information about citizenship please click here.